Warren Newson only stands five feet seven inches tall, but he remains large in my memory. He was drafted by the Padres in 1986 and I watched him as he progressed through the Padres system. 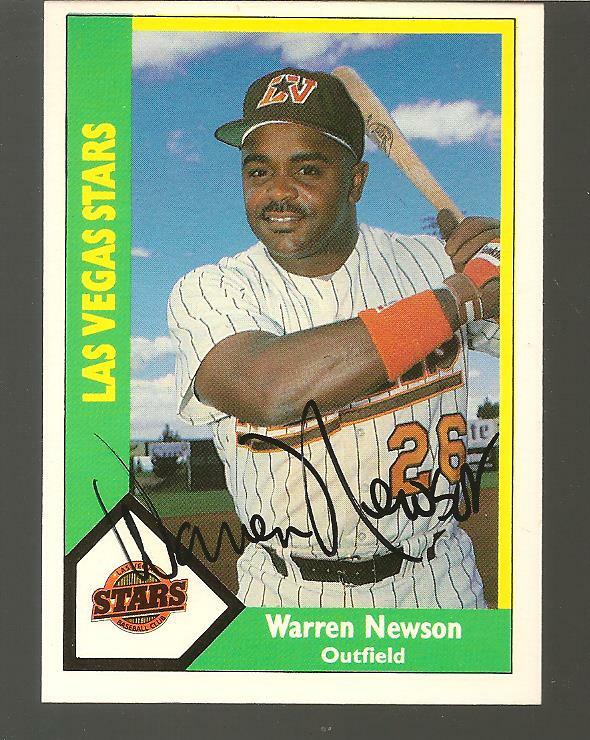 I met him in 1990 when he played for Las Vegas, then the Padres AAA affiliate. He was one of the nicest guys you would ever want to meet. He went on to play 8 years in the majors for the White Sox, Mariners and Rangers. He also played several years in Korea and Mexico and one year in an independent league in 2003 before seemingly retiring.